Panasonic’s Hiroyuki Hasegawa, an audio-visual manager at the company, took the occasion of a meeting of the Japan Recording-Media Industries Association to explain what BDs are good for. He suggested that the blue-laser technology is the ideal medium for archiving material for posterity, pointing out that the disks are far more durable than currently favored magnetic media. Factoring in the cost against the amount of space take up by the disks enhances the appeal of BDs even further, he added, while making them creates less carbon dioxide than other media. Although Blu-ray and other optical disks are slower to access than hard drives, Hasegawa said that 80% of data commonly archived now doesn’t require ultra-rapid access, so that wouldn’t be a deal-breaker. 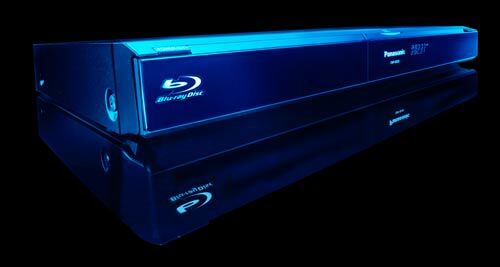 Finally, the Panasonic chief analyzed the relatively sluggish demand for Blu-ray. He predicted sales of the disks would rise from 60 million units this year to 250 million in 2011. Still, that compares with 13 billion blank CDs and DVDs sold last year, so it’s clear Blu-ray has a long way to go to catch up and that it’s going to need a huge marketing drive to get companies and individuals seeing it as a long-term storage medium as well as a possibly short-term movie vehicle.